Kashmir is not just blessed with natural scenic beauty but also with talented craftsmen. Kashmiri handicraft is known throughout the world for the artistic work and the grandeur.The art and spirit of craftsmen are unique and enchanting. Versatile design and shops filled with handicrafts and souvenirs are a common sight. From pocket-friendly trinkets to really expensive Pashmina shawls, Kashmir has it all. 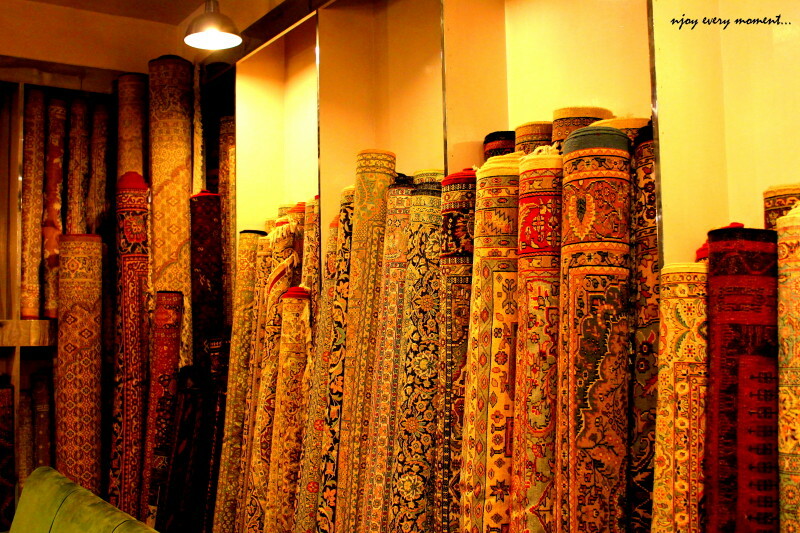 In this post, we have listed the Top Things to Buy In Kashmir. From the amusing trinket to a collector’s item, you’ll find it all in Srinagar. Pashmina shawls are the most popular tourist buys in Srinagar. The finest shawls in the world are made in Kashmir. The shawls, made of sheep wool and Pashmina wool, are known for their fine texture and soft colours. Carved utensils are the other popular items that tourists like to buy. Stone and silver jewelry made in Srinagar are definitely worth taking back home. Wood carving is done on a variety of objects-ranging from furniture to articles of personal use like jewelry boxes, photo frames etc. Walnut wood is the most common wood used for carving. Kashmir is the only place in India where the walnut trees are found in nature. Kashmiri Handicraft such as chain stitched carpets in both wool and silk are a lifetime investment and the selection ranges from the simple to the most extraordinarily intricate patterns. Products made out of paper Mache and bamboo, copper and silverware, mirror frames, Kashmiri Saffron (Kesar) and dry fruits are also famous and tops the shopping list of visitors. Each and every product price is structured depending on how much skill, labour, and material has gone into its fabrication. If you are a cricket fan then you will not be disappointed with the selection of fine Kashmir willow bats which are available for one to buy and that too at a very reasonable rate. Kashmir is not just a tourist hotspot but a place wherein you can buy a lot of amazing stuff and also create memories for a lifetime. and for being Kashmir … and for being heaven ! Love the pictures, how I miss India! Although I’m not much fascinated to handicrafts I must say you’ve presented it quite well! Thanks a lot for stopping by and lovely words ,it might be browser problem as the pic size is huge 🙁 Thanks for bringing it to notice ,I will resize my images before I post 🙂 Can you check if its still not visible at your end. I’ve visited Pakistan before, but not Kashmir but this is absolutely stunning. This is heaven for a someone who loves unique souvenirs, like me. Those Pashmina shawls are so beautiful and I can imagine how soft they are just by looking at your photos. Same with the blankets, I bet they keep you very warm in winter. The walnut wood carvings look so beautiful as well, are those big bracelets in the first photo? It definitely is. Pashmina shawls are a specialty of Kashmir and they are amazing. You should definitely plan to visit here.